The dough is made with flour, water, yeast, salt and a little butter. Then the recipe tells you exactly, with pictures, how to properly form the butter “filling” block that gets wrapped in the dough. 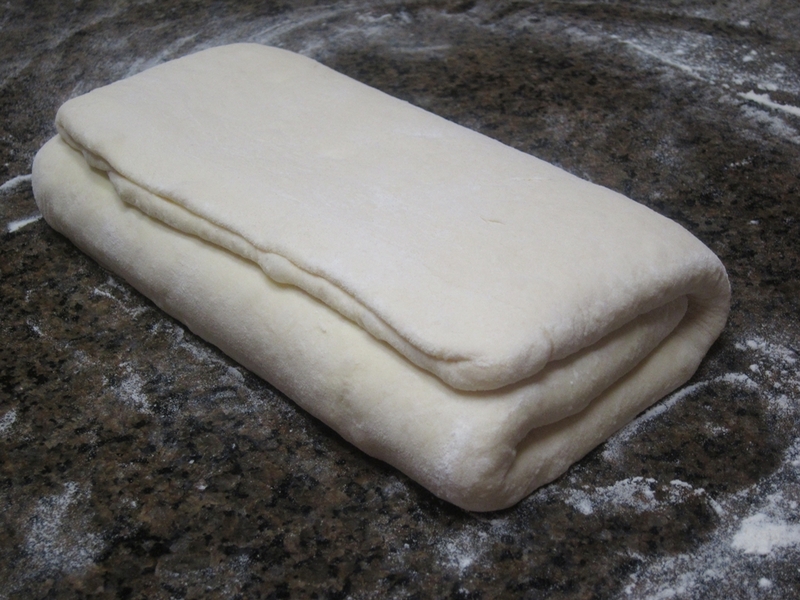 The butter filled dough gets rolled and folded several times, making for alternate layers of dough and butter. This makes what is called a laminated dough. 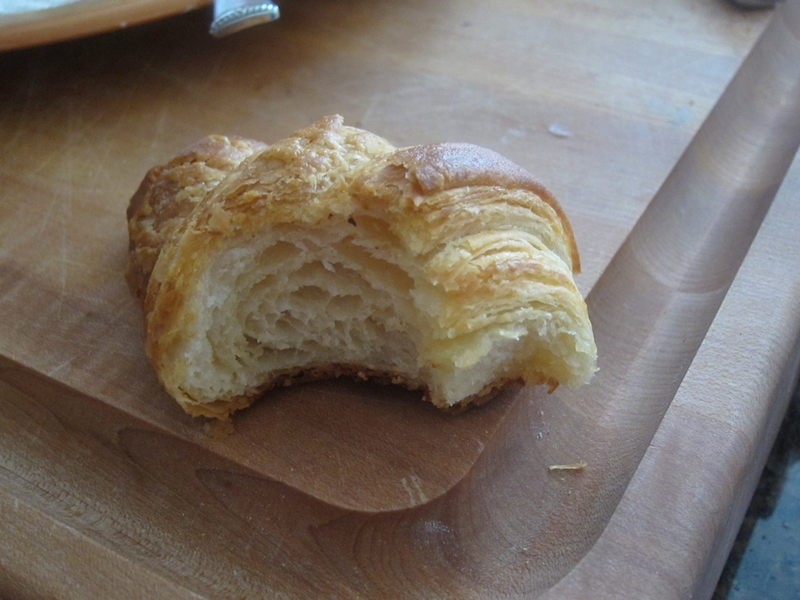 When the croissants bake the butter melts and the water in it turns to steam, the pastry puffs and crisps making for those lovely layers (same concept as puff pastry, but that has no yeast). Another important detail in the instructions that for some reason I never caught on when making other recipes is how important it is to have even squared sides. 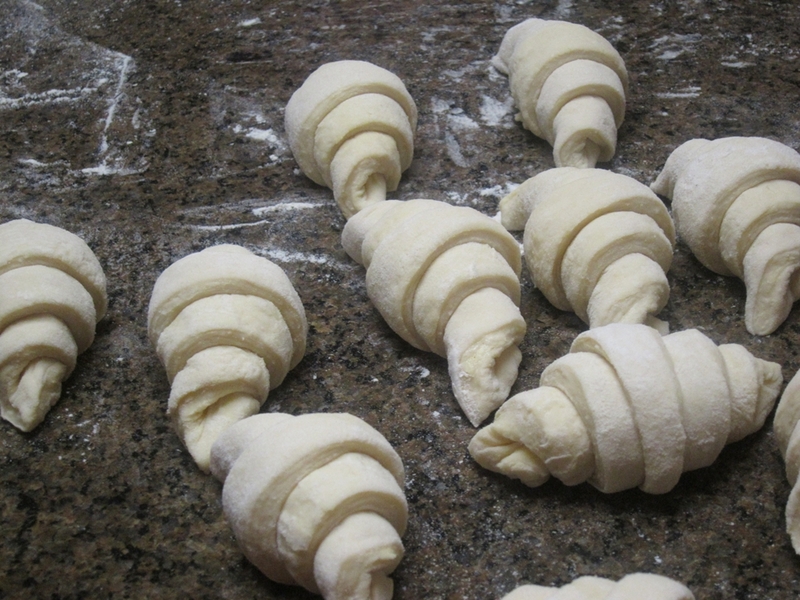 Reinhart instructs several times to trim the dough to get even sides that lay perfectly on top of each other when the dough is folded. After the last roll of the dough, the dough gets cut into triangles with a short base. 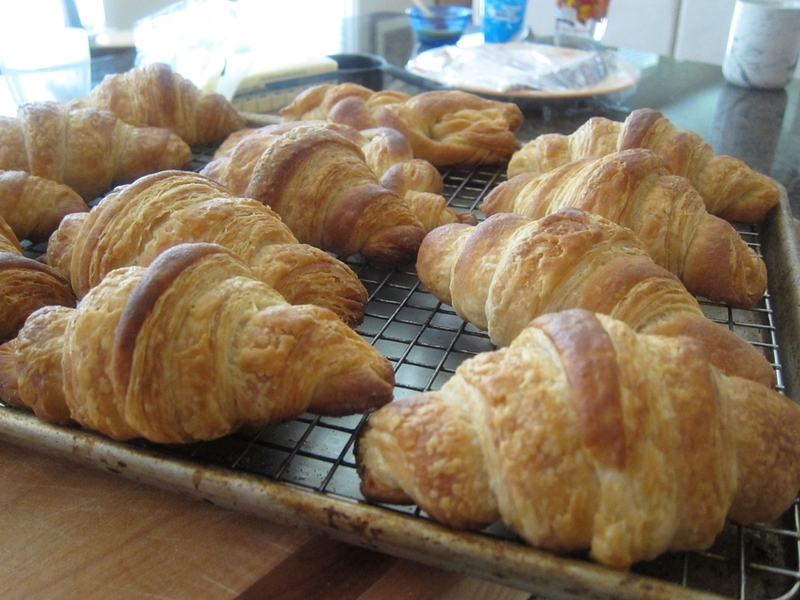 A notch is cut into the center of the base of the triangles and the croissants are formed and allowed to proof and rise. 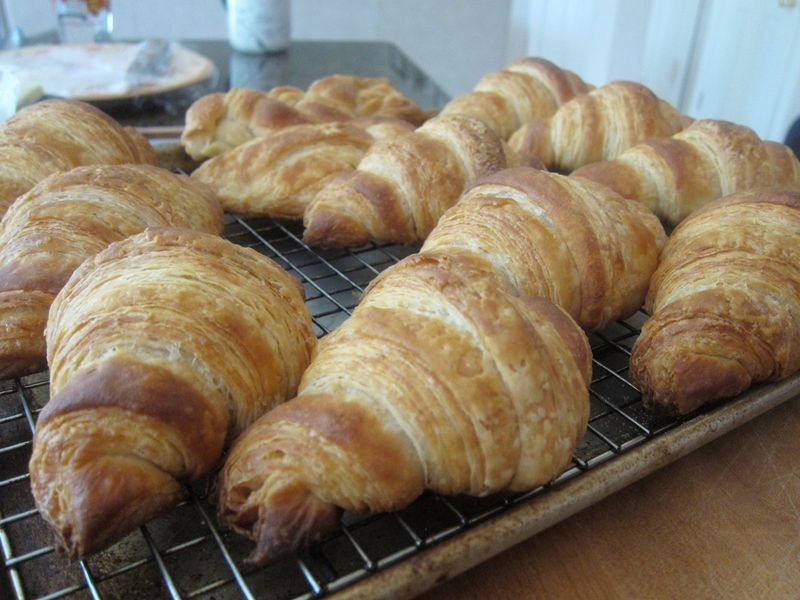 When they are ready to bake, I brushed them with an egg wash and baked them. We enjoyed them as usual with Oeuf Cocotte (eggs baked in a ramekins with cream, bacon and herbs), a selection of jams and -a croissant’s best friend- Nutella.